* Raymond Damadian on the Upright MRI and Multiple Sclerosis: The inventor of the MRI (see rsr.org/mri), Dr. Raymond Damadian, returns to Real Science Radio to discuss this published findings obtained using his newly invented "Upright MRI" device. Traditional horizontal MRIs remove the stress that gravity puts on the spinal column and thereby hide some of the possible causes of MS and other neurodegenerative disease. After scanning early dementia sufferer former NFL quarterback Jim McMahon and recommending treatment that tremendously improved the health of the Chicago Bears alumnus, Damadian then scanned and obtained corrective treatment for three multiple sclerosis patients. 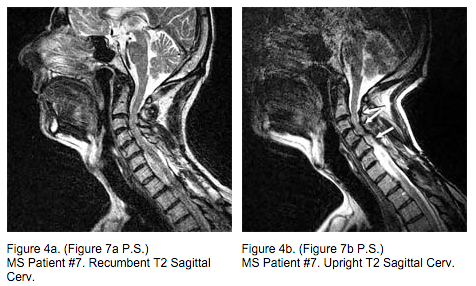 Damadian made history also by filming the actual flow of the cerebrospinal fluid (CSF) and then showing blockage of that circulation in eight MS patients. He now proposes that inhibited flow stops the CSF from removing metabolic waste from the brain; that the 300 polypeptide (proteinaceous) chains in the CSF cannot efficiently transport to where they are needed; and that this may be a major factor in the development of MS. Further, he has documented some significant success (including the disappearance of brain lesions), in the first handful of patients who have undergone his suggested chiropractic treatment to realign the top two vertebra, known as Atlas and Axis, that appear misaligned in MS patients in the scans performed by the upright MRI. 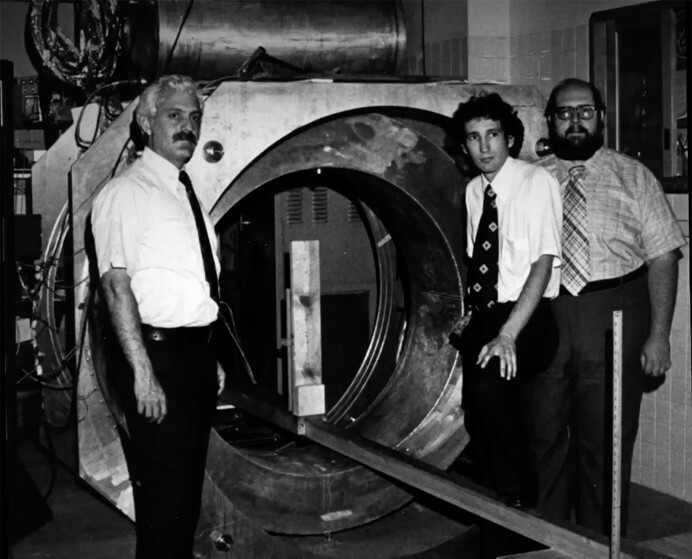 Inventing the MRI: At rsr.org/mri, hear Real Science Radio co-host Bob Enyart interview Raymond Damadian, inventor of the MRI magnetic resonance imaging device. If you love learning about the history of scientific discovery, inventions, and absolute truth, you will absolutely LOVE listening to today’s program! A year ago Bob logged onto Wikipedia to edit the entry on the MRI after noticing that the events listed in the History section of that article were out of chronological order. After making a minor change, moving the sentence about Dr. Damadian earlier in the section to where it belonged chronologically, Bob noticed that the heavy-handed Darwinist editors at Wikipedia, obviously seeking to diminish the contribution of young-earth creationist Damadian, reversed Bob’s correct and to the day of our interview, they insist on presenting the History of the MRI out of chronological order. Selah. * More of KGOV's Medical Breakthroughs Reporting: See kgov.com/targeted-antibodies for the immunotherapy revolution in cancer treatment! * Please Support RSR: Please consider making a one-time or automatic monthly donation by clicking on the Store tab (above) or by calling 1-800-8Enyart (836-9278). Please help us continue to reach people with RSR broadcasts for another year! * Damadian Not a "Real Scientist" But an MD: During our February 2016 interview at rsr.org/mri, Dr. Damadian and Bob Enyart discussed a couple of the objections that the scientific community had to recognizing him as the inventor of one of the greatest advances in physics in the realm of medical science. One objection is that he is a biblical (i.e., young earth) creationist. A second objection is that Raymond Damadian is not a "real" scientist but only a medial doctor. Bob pointed out a parallel instance whereby creationists will ignore the work, including astounding confirmed discoveries, of Dr. Walt Brown, PhD from MIT in mechanical engineering, because he is not a professional geologist. - the impossibility of sexual reproduction arising by evolutionary mechanisms (see rsr.org/sexual-reproduction). "Like evolving a vital organ," said Real Science Radio's Bob Enyart, "most major hurdles for evolutionary theory are extinction-level events."